The education of our students is certainly important, but our Catholic faith teaches us that we must not only learn, we must use what we learn to go out and help others. As such, service is an important part of our lives, our parishes, and our schools. Families are asked to participate in service throughout the year to the school and the parish to which they belong. There are a variety of service opportunities in the school, from cutting and packaging box top labels to being a mystery reader in a child's classroom. Service to our parishes, such as serving as a reader or extraordinary minister of the Eucharist, creates unity among our Catholic community. We also desire to instill in our children the value of service. 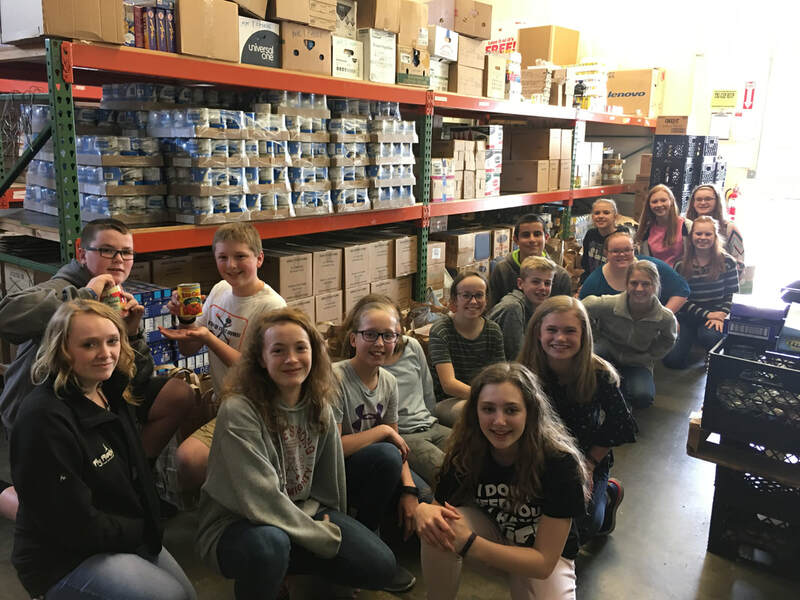 As such, community service projects, both locally and globally, are offered to our students throughout the year as part of their school day and on their own. Some of these service projects include helping collect items for the Food Bank, raising funds and participating in the St. Vincent de Paul Walk for the Poor, helping at the Humane Society, working on the team for a Habitat for Humanity build, ushering at JCAC performances, sponsoring the education of students in Dupity, Haiti, and visiting with the residents of Brookside Village Senior Living Center. Together, we can build a stronger and more united world by taking what we learn and putting it into action through service for the common good.